The Rio de Janeiro Games are over, but their stories linger, from world-beating triumphs to soul-crushing defeats. Olympics are different from other competitions – for their gathering of nations and their stated goal of “promoting a peaceful society concerned with the preservation of human dignity.” There’s also the opportunity to excel, to test human limits, and to overcome. Before Rio fades away, we count down what was most Undefeated about the 2016 Games. 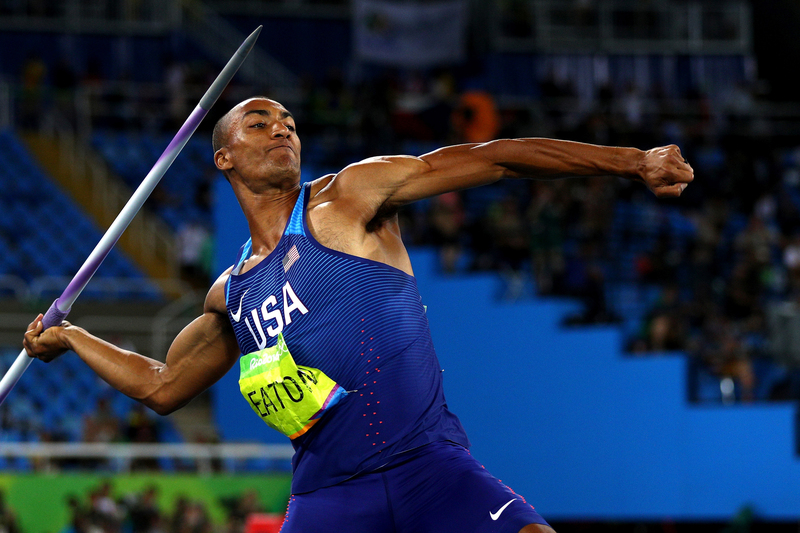 Ashton Eaton of the United States competes in the Men’s Decathlon Javelin Throw on Day 13 of the Rio 2016 Olympic Games at the Olympic Stadium on August 18, 2016 in Rio de Janeiro, Brazil. 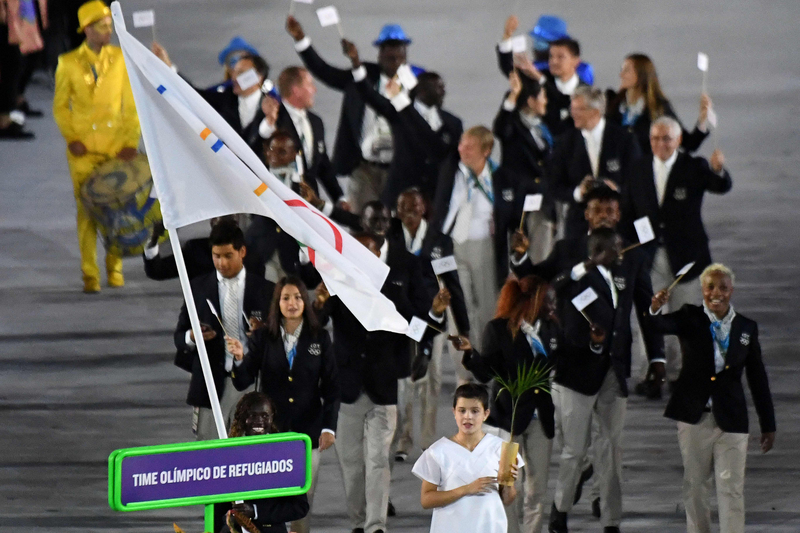 Refugee Olympic Team’s Rose Nathike Lokonyen leads her delegation during the opening ceremony of the Rio 2016 Olympic Games at the Maracana stadium in Rio de Janeiro on August 5, 2016. 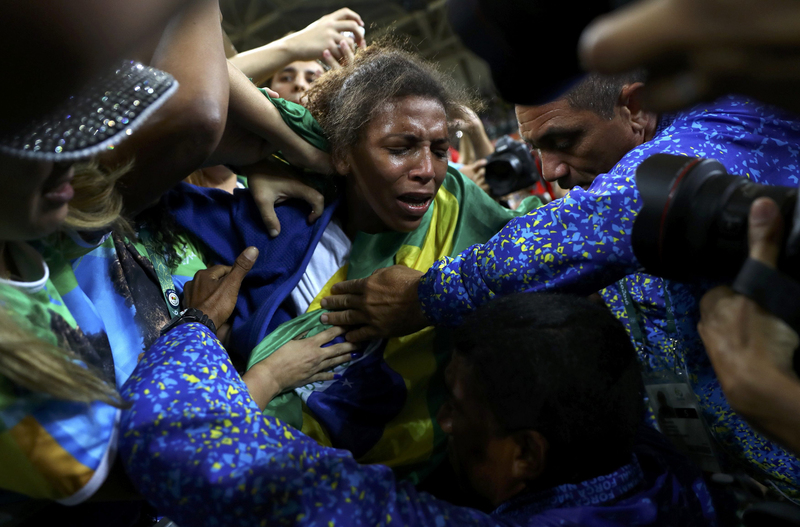 Rafaela Silva of Brazil celebrates her gold medal in women’s 57 kg judo. Silva spent her early years in the notoriously violent Rio de Janeiro favela City of God, fighting with boys and getting expelled from school. Her parents directed her toward judo, and she became a junior world champion. At the 2012 London Games, after being disqualified for an illegal hold in a preliminary round, Silva was attacked with racist insults on social media. Some went so far as to call her a monkey, in a country where white privilege still matters to the racially mixed population. Silva briefly quit her sport, but rebounded for a victory in her home city, giving the host country its first gold medal of the 2016 Games. 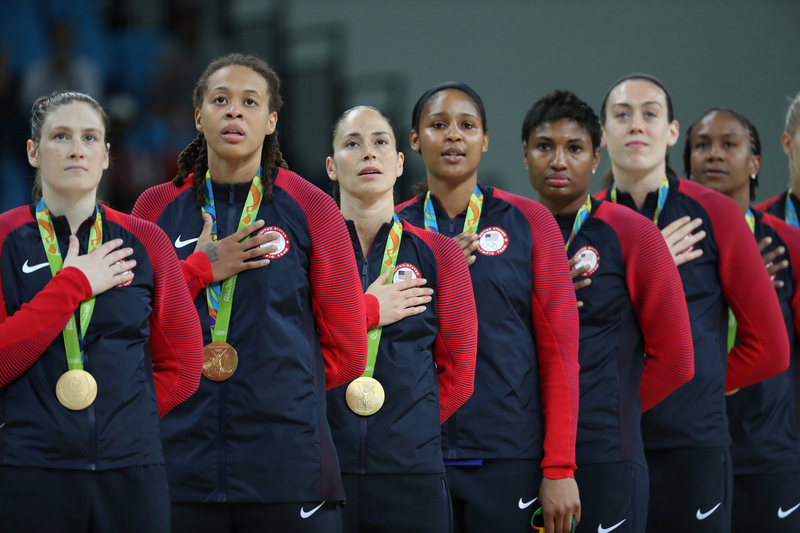 Players of the United States of America attend the awarding ceremony for the women’s final of Basketball at the 2016 Rio Olympic Games in Rio de Janeiro, Brazil, on Aug. 20, 2016. The United States of America won the gold medal. 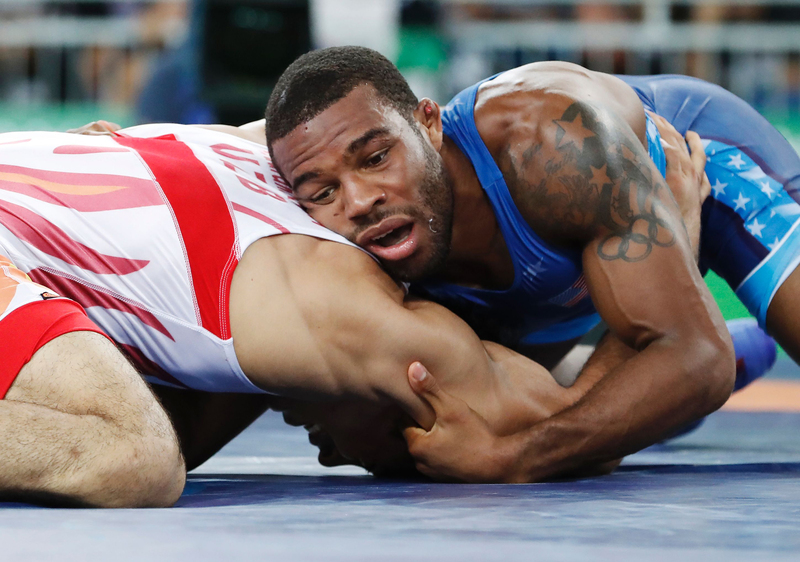 Uzbekistan’s Bekzod Abdurakhmonov (red) wrestles with USA’s Jordan Ernest Burroughs in their men’s 74kg freestyle repechage round 2 match on August 19, 2016, during the wrestling event of the Rio 2016 Olympic Games at the Carioca Arena 2 in Rio de Janeiro. 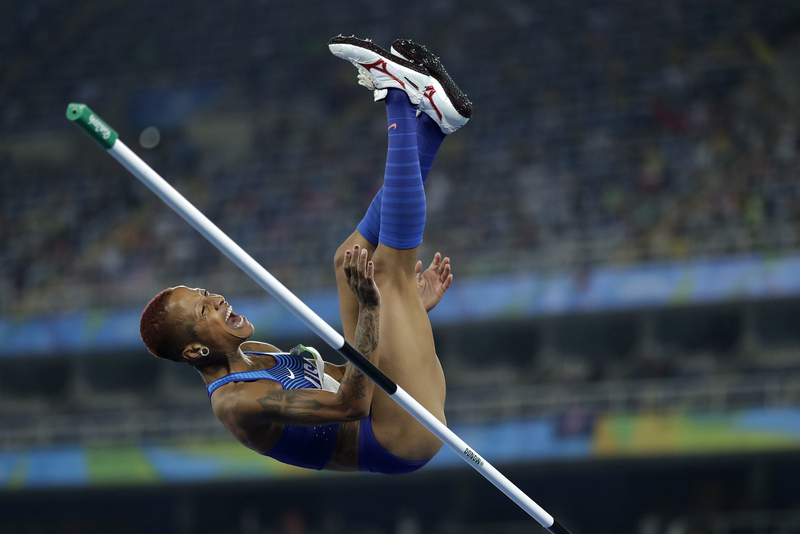 United States’ Inika McPherson reacts during the women’s high jump final, during the athletics competitions of the 2016 Summer Olympics at the Olympic stadium in Rio de Janeiro, Brazil, Saturday, Aug. 20, 2016. 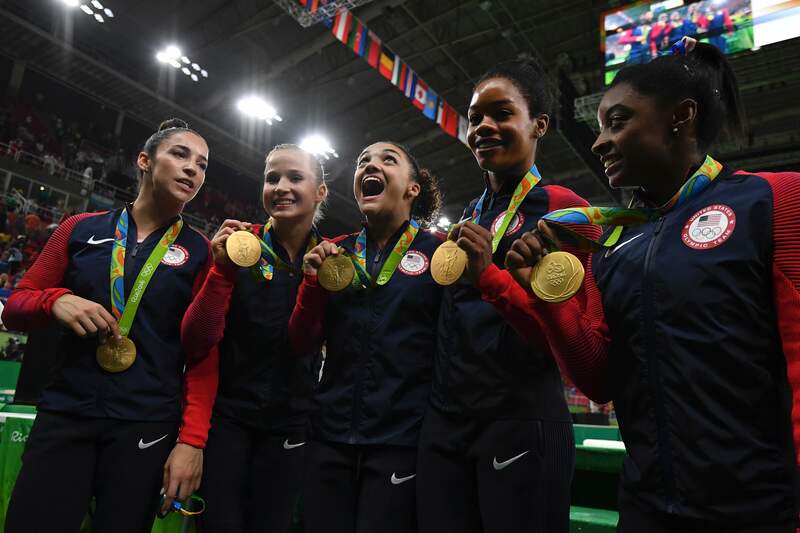 US gymnasts Alexandra Raisman, Madison Kocian, Lauren Hernandez, Gabrielle Douglas and Simone Biles celebrate with their medals on the podium during the women’s team final Artistic Gymnastics at the Olympic Arena during the Rio 2016 Olympic Games in Rio de Janeiro on August 9, 2016. 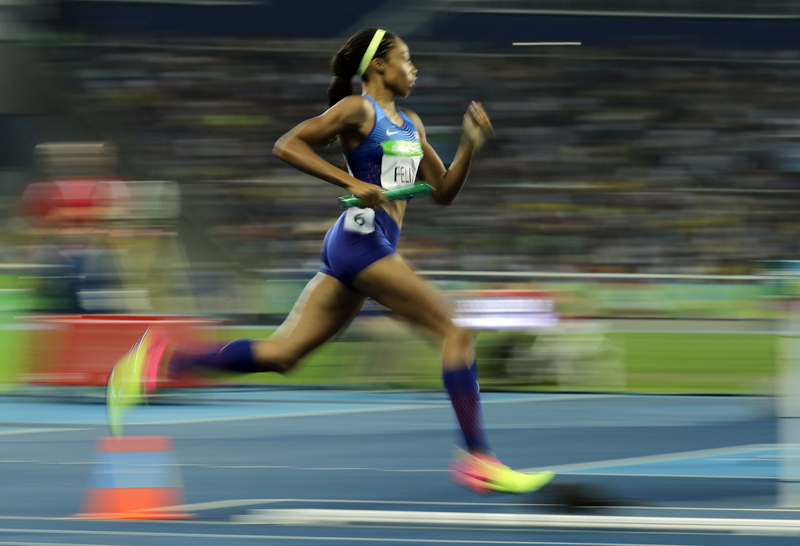 United States’ Allyson Felix competes in the women’s 4×400-meter relay final during the athletics competitions of the 2016 Summer Olympics at the Olympic stadium in Rio de Janeiro, Brazil, Saturday, Aug. 20, 2016. Heading into the last day of her fourth Olympics, Felix had been through injuries; elimination from the 200-meter dash, her favorite event at the U.S. trials; and a devastating loss to a diving opponent in the 400-meter final in Rio. Yet she took gold in the 4-x-100 and closed down Olympic Stadium by anchoring the 4-x-400 to gold. That gave Felix nine career Olympic medals in track and field, more than any American woman, and second only to Carl Lewis’ 10. “Track and field has brought so much joy to my life,” she said, “to be able to look back over the years at the things I’ve been able to accomplish, it’s a blessing.” Only 30 years old, she might just bless us with another Olympics in 2020. 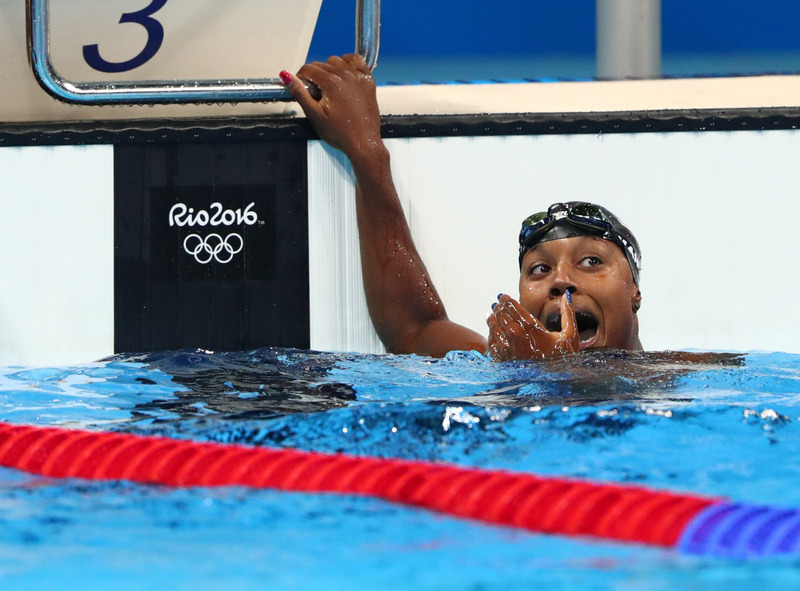 Simone Manuel (USA) celebrates after the women’s 100m freestyle final in the Rio 2016 Summer Olympic Games at Olympic Aquatics Stadium. That’s what they call Simone Manuel, the 100-meter freestyle gold medalist, and the first African-American woman to win an individual swimming medal of any kind in the Olympics. Manuel cried tears of joy on the medal stand, mindful of how the history of pool segregation is connected to today’s black children being three times as likely to drown as their peers. Then she looked ahead, to when there are no more firsts, when “there are more of us and it’s not ‘Simone the black swimmer.’ ” In an Olympics filled with #BlackGirlMagic, nothing was more magical than seeing Manuel open a new chapter in her sport. 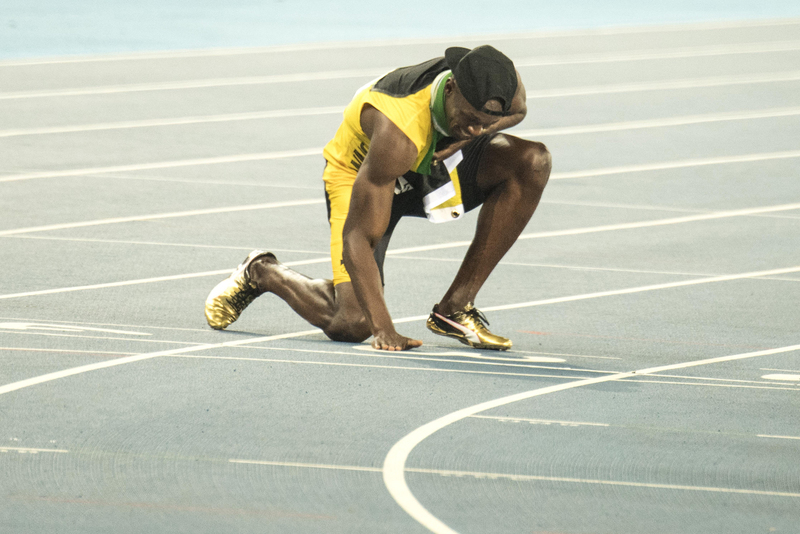 Usain Bolt of Jamaica celebrates after winning the Men’s 4x100m Relay Final at Olympic Stadium during the Rio 2016 Olympic Games in Rio de Janeiro, Brazil.